Last Friday night (22 March), on behalf of CineVue I was invited to Google’s swanky London headquarters for the Jameson Empire Done in 60 Seconds Awards. The idea has evolved quite considerably in the five years since its inception, now inspiring amateur filmmakers around the world to test their talents. This year, the judges featured some of the most knowledgeable and respected names in the entertainment industry including Sky Movies presenter Alex Zane, broadcaster Edith Bowman, Downton Abbey actress Joanne Frogatt, Empire Magazine Editor-in-Chief Mark Dinning, Bauer CEO Paul Keenan. The panel was rounded of by British star Tom Hiddleston, best-known for his role as Loki in Thor/Avengers Assemble. Oh yeah, and this happened. 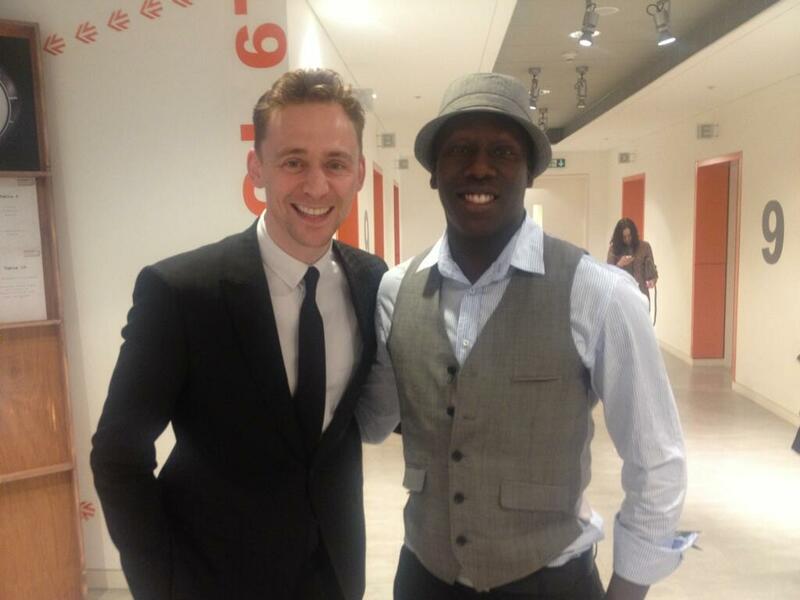 Really nice chap, that Loki fella. Totally misunderstood. After screenings of all 23 diverse, high quality 60-second shorts, the night saw Mark Hampton (Argo) and Philip Askins from the UK (Blade Runner), Andrey Dzhunkovskiy (Red H [Memento]) and Olga Goldfarb from Russia (Fear and Loathing in Las Vegas) and Sergey Litovchenko from Kazakhstan (Twilight) confirmed as finalists in the competition. There can only be one winner though, and Askins’ animated restyling of Ridley Scott’s 1982 sci-fi classic Blade Runner was eventually crowned the overall victor at Sunday night’s star-studded Jameson Empire Awards 2013 (watch below). To check out all of the Jameson Empire DISS Awards entries, visit youtube.com/jamesonempirediss. This entry was posted on March 26, 2013 by Amonymous. It was filed under Features and was tagged with Done in 60 Seconds, Empire Magazine, Tom Hiddleston. Still can’t believe you got to meet Tom! Dammit, I’m jealous!